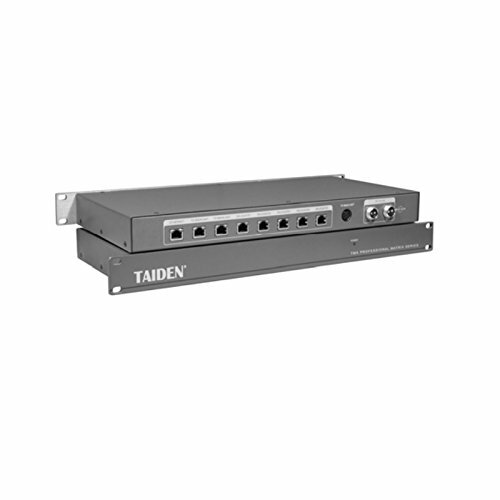 This Congress Gigabit Network Switcher is based on TAIDEN originated GMC-STREAM Gigabit Multi-media Congress Stream technology. The unit supports daisy-chain connection to HCS-8318 series Paperless Multi-media Congress Terminal; the quantity of congress terminals connected to each port is unlimited. 8x RJ45 standard port for connection with congress main unit, HCS-8318 series paperless multi-media congress terminal, video server, external Ethernet switches, etc.